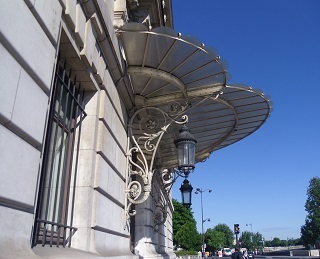 Musee d'Orsay, Paris, was transformed from train station to art museum. Adaptive reuse of a vacant building is a smart community choice for sustainable development. If you aren't acquainted with this phrase, it describes finding a new purpose for a building rather its original use, or at least the one everyone remembers. A new land use that has more market demand is chosen and developed. Re-purposing of buildings is a simple idea for community improvement, but one that has huge potential to reduce the carbon footprint and solid waste inherent in building demolition and new construction. If people need to be convinced, we can refer you to an online calculator for the energy cost of tearing down buildings, as compared to what is known as embedded energy found in existing buildings. See this embedded energy calculator. That does not mean you can ignore having to sell the idea that what everyone remembers as a service station could become a restaurant. Change threatens all but the best in us. For a general and simple discussion of the topic, see our page on recycling buildings, with the gorgeous photo of a gas station turned bar-restaurant. The difference is that the recycling idea does not necessarily mean a change of use. But on this page, let's be more detailed and have fun learning by example what your problem vacant building can become. The specific adaptive reuse suggestions grouped according to the previous land use. We hope our extended list-making can inspire some creative ideas on your part as your community thinks about what to do with that building that no longer seems viable in its former use. Gyms, archery ranges, or basketball or handball courts. Private residences, in rural areas especially. Parks, sometimes with conservation areas or trails incorporated. See also ideas in a book we recommend, Retrofitting Suburbia. More discussion can be found in the pages on shopping center renovation and shopping center redevelopment. Musical performance spaces, if no new congregation can be located. Economic development incubators or business accelerators. With walls added or repaired, offices, artists lofts, manufacturing, flea markets. Our advice is to combine sound market research, if you have the capability or funding to hire a consultant, with the services of a good architect. If you are on a shoestring budget or no budget, simply convene the most creative people you know, maybe get a bottle of wine, and start talking and doodling with felt-tip markers till you have an idea or three. Then ask a developer, builder, or real estate agent what they think. Keep asking, keep doodling, and keep advertising until an adaptive reuse prospect appears. If you're on a limited or no budget, the Internet is your friend. Set up a Facebook page for your property, or just get on forums and blogs to spread the word. Be sure that you use a keyword that someone searching for your property would be thinking about. Often the idea doesn't really take shape until a particular prospect sees the property. But that will be an accident; most buyers don't know they're looking for an old upholstery shop. If you're in the public sector, obtain control of the building by purchasing an option to buy. Think through any financial incentives you are able to offer, such as tax increment financing. Gimmicks such as attracting the media or putting a property you own up for auction online sometimes actually bear fruit, but don't pin your hopes on one strategy. Be persistent. If you are able to make a deal to re-use an older building for a new purpose, your community could receive the benefit of a unique project, and one minimizing the waste of good building materials. Frequently old buildings have good bones and are made from more substantial materials than those currently used in construction. The selling points are many.